So after trying the 85mm AF-D F1.8 I wasn’t completely happy with the focus speed although it seemed nice and sharp, I ended up sending it back. Partly because the new Nikkor AF-S 85mm F1.8G wasn’t actually all that much more really (It was a really good used version of the AF-D). So far I am liking the lens, took some really nice portraits with it, which is what I bought it for. I couldn’t afford the Nikkor 105mm or the F1.4, way too much money for an amateur. I have no doubt I will be able to get a lot of good photos out of this lens. Call my old fashioned perhaps but I love primes; I have a few for my old Mamiya. I would like a 35mm, maybe a 24mm, and definitely a 300mm of some sort. There are some nice used 300mm AF-S F4s around. That would be nice. 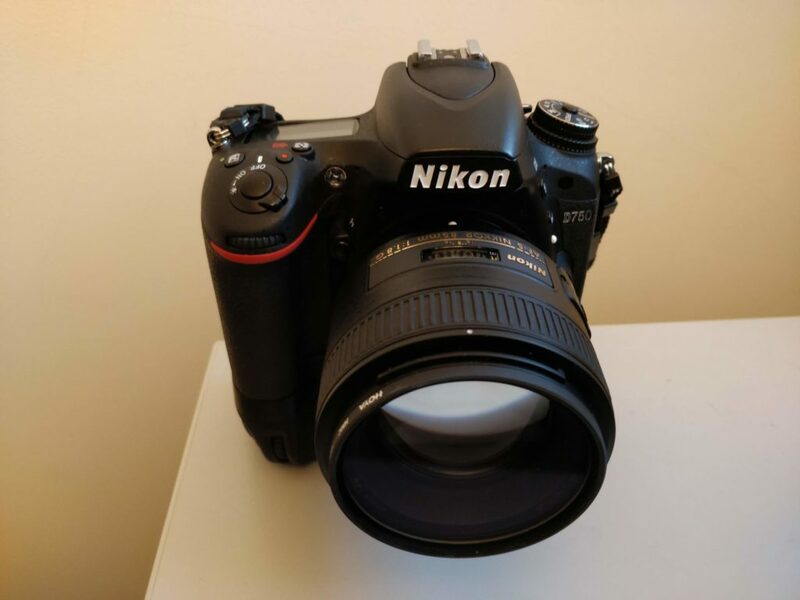 My D750 with the Nikkor 85mm F/1.8 G AFS Lens.